Give Your Life Some Flava with Ava! Meet Ava, a fun and athletic girl who came to the Coronado Animal Care Facility after she was found as a stray wandering along Tenth Street. Ava is sweet and sporty, and ready for her new forever family. Ava is an athletic lass who enjoys walking, running, and playing with toys in the play yard. Also a lover, Ava enjoys quality time with her human pals, and happily rolls over for extended belly rubs. Ava seems indifferent to cats and other dogs. She definitely loves her humans though! 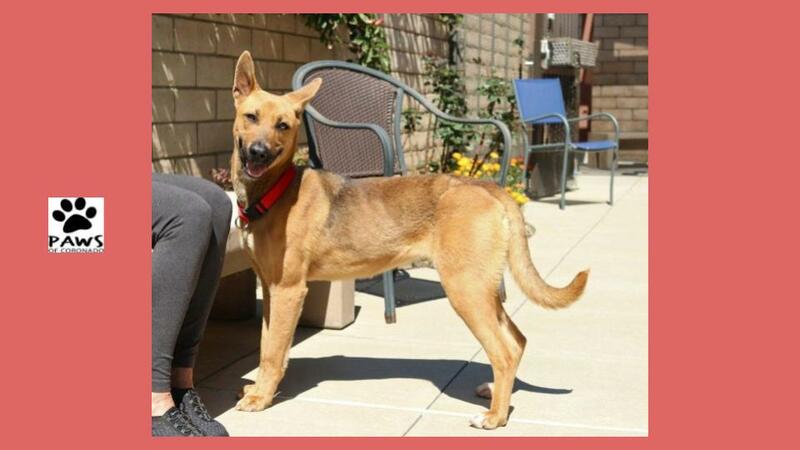 At one year old, Ava is the perfect age to start her new life with her forever family. Are you looking for an athletic lady to join you on all of life’s adventures? Come down to the Coronado Animal Care Facility today and meet Ava! If you have any questions, please email us at dogadoptions@pawsofcoronado.org. And please check out Ava’s profile!